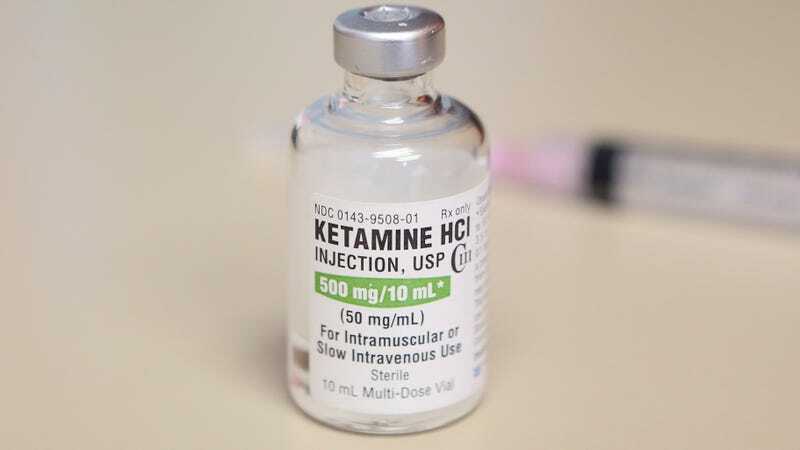 One of the largest hurdles to ketamine becoming a mainstream depression treatment may have just been cleared. On Tuesday, an independent expert panel convened by the Food and Drug Administration discussed whether a nasal spray version of the drug developed by Johnson & Johnson should be approved by the FDA. In a majority vote, they agreed that the drug’s benefits outweighed its risks in treating cases of depression that haven’t responded to other treatments, though not without some conditions. The vote all but signals the drug’s eventual approval, since the FDA rarely strays from these decisions. Ketamine has had a complicated history. Originally and still used as a sedative for people and animals, it’s also a common party drug, since it can cause a euphoric if disorienting high. For years now, though, doctors have been experimenting with using small doses of ketamine as a treatment for depression. What’s made ketamine so enticing as an antidepressant is that its effects in boosting mood seem to happen within hours or even minutes, while other antidepressants can take weeks to work. That rapid action is especially important for people in middle of an immediate crisis who are struggling with suicidal ideation. Currently, though, depression is an off-label use for ketamine. It’s also usually administered via an IV in specialized clinics. Thus, it has been difficult for people to gain access to the drug. The small-scale nature of ketamine treatment has also made it hard to prove that the drug really can be effective for depression. Johnson & Johnson’s version of the drug, if it wins FDA approval, would seemingly address these issues. Aside from being more convenient as a nasal spray, J&J’s version is based on the chemically similar esketamine. Esketamine, Johnson & Johnson hoped, would cause fewer side-effects like sedation or dissociation while still providing a similar antidepressant effect. The FDA also had its hopes pinned on the drug, granting it a Breakthrough Therapy designation, a process that speeds up the review of a potential treatment for a serious or life-threatening condition. It wasn’t necessarily a given that J&J’s drug would be recommended for approval, though. Out of the five Phase III clinical trials (the gold standard of evidence) submitted, only two trials showed that esketamine performed better than a placebo. One of these trials involved adults younger than 65 who were given flexible doses of the drug; the other was a randomized withdrawal trial, where volunteers are randomly selected to go off the drug or continue treatment (in all the trials, the patients were taking at least one other antidepressant). Most antidepressants approved by the FDA, the panel noted, had evidence from at least two or more Phase III trials, not including a randomized withdrawal trial. Ultimately, however, the 17-member panel overwhelmingly voted for approval, with 14 voting yes, two no, and one abstaining. In explaining his rationale, panel member Walter Dunn, a professor of psychiatry at the University of California, Los Angeles and psychiatrist at the VA, went as far to call the drug a “game-changer” for depression treatment. One major factor that influenced many of the “yes” votes was the FDA’s proposal for how it would approve the drug, if it did so. In the trials, patients were more likely to experience side-effects within two hours of a dose. So the FDA proposed that it would likely approve the drug to be taken only in certain health care settings, where patients could be supervised for two hours. The supervised doses would be part of a larger “Risk Evaluation and Mitigation Strategy,” or REMS, program for the drug. The dosage of ketamine given for depression is typically much lower than what people use to get high recreationally. But doctors have still worried about the risk of abuse, pointing to reports of patients becoming dependent on the drug. The restrictions on how esketamine will be taken, the FDA said, would help prevent misuse. As currently proposed, esketamine would be given twice a week at a clinic for the first four weeks alongside another new oral antidepressant, then weekly for the next four. Afterward, patients can stay on a weekly schedule, or switch to every other week, for as long as needed—but they would always receive their doses under supervision. Panel members who voted yes and no stressed the need for more research on the drug’s effects, though, even if it wins approval. Some evidence has shown that people who misuse or abuse ketamine can eventually develop permanent brain damage. And while there was no sign of this effect in the human or animal studies, many experts brought up the lack of research that would rule out the possibility of this or other serious health risks happening with ketamine if it became an approved, long-term option for depression. Still, it now seems likely that J&J’s drug will earn approval from the FDA, which would make it the first new kind of depression treatment approved by the agency in decades since Prozac’s arrival in 1986 (and only the second drug ever approved for treatment-resistant depression, after the approval of a combination olanzapine/fluoxetine pill in 2009). While the FDA is not required to heed the advice of its advisory committees, it has only rarely decided not to in recent years. A final decision on the drug’s approval may come as soon as March.